Fregat Logistics has a state-of-the-art ultra warehouse in the Dutch city Almere. This central location (close to Amsterdam Airport Schiphol) is highly secured, has a capacity of more than 15.000 pallets and is equipped wit hall the essenitial and mechanised equipment necessary for executing highly complex logistical services. 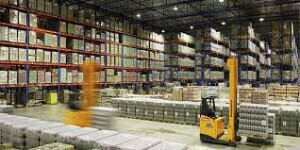 In addition, we have dedicated and public warehousing in the city of Veendam. Fregat Logistics guarantees professional warehousing, handling and supervision of your goods. On top of this, we are able to match your ERP-software to our Warehouse Management System. This way, your orders can be processed fully automatic.